Few people may know that at one time I was homeless. In fact I was also jobless, penniless, foodless, family-less, fatherless, motherless, friendless, hopeless, for most of my life mother-less, and finally freedom-less. I ended up with a home alright. I was in the Kansas Penitentiary in Hutchinson, Kansas. I ended up owning my own home, my car, getting two college degrees (first in my entire family), getting married, having children and now having grandchildren. I was able to break the cycle of dysfunction in my family and smash the cycle of poverty. But I had a little help. Ironically, when I was incarcerated, I became most free. Someone gave me a Bible, and eventually, I became free. Free at last in a State Prison. Irony of ironies, I know help those disenfranchised in my county. I can tell them honestly, I completely understand what it is like. I can sympathize. I also know that cycles are made to be broke. I do not give them a hand out, but a hand up. The number of homeless, estimated by the U.S. Department of Housing and Urban Development back in 1996, the last serious attempt to count them, was almost 900,000. Today, conservative estimates are that well over one million people are homeless in the United States and as many as 42% of these may be children! I am only one person, but I try to provide transportation to be able to connect them with services, medical care, and groceries from our church’s Food Bank, and most of all hope; going from hopelessness to hopefulness. I must tell you that there are risks involved, but I have never been sorry or regretted it. I take off from work some days and must use my own money to provide foods, services and transportation because local services are so overworked and it takes weeks and even months for these services to be facilitated. But I wanted to give some of these individuals at least some hope. To give them something tangible and something they can use immediately; dignity. I even acquired my own Case Management certificate from the SRS. So here is a list of gift items that are best suited to give to those who are homeless and hopeless. I solicited churches that helped the homeless. I talked with ministries, Case Managers, the SRS. And I remembered my own past and what I was most desperately in need of. This list is not exhaustive. If you can think of something else that I can add to this list, please comment and leave me your suggestion. There is likely something I missed. This is from my own experience so maybe there is something that you might think of that I didn’t. So here is my list. Please add to it if you can think of something. And perhaps I can inspire you to give some hope to the hopeless and homeless. Random acts of kindness hold their own reward. From my own personal experience and talking with many people who work with the homeless, cash is not recommended. It is part of my evangelization. Not that I require them to be saved, but it seems to never fail that this ends up happening. I never cram religion down their throat. People can hear the Gospel much more readily if their stomachs aren’t growling. At first I might give them a radio, some socks, a blanket, a flashlight, and a Bible. Then I let God take over. If you think of something else, please add it in the comments section and I will incorporate it into my list. You can’t help all of them, but a little bit of hope goes a long way when you have nothing. How can any one person help so many? The answer is that you can only help one person or family at a time. But at least it is something. 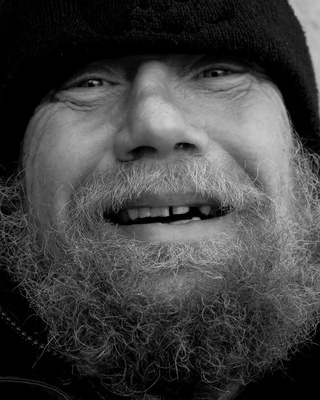 Those who break free of the cycle of homelessness often try to help others do the same thing. That is what I have taken to heart to do.